In this week’s episode, we chat with Adam Mertz about analyst relations best practices and what other companies can learn from what we know. Recently, Act-On was named a Visionary in Gartner’s 2018 Magic Quadrant for CRM Lead Management. This was the second year in a row, Act-On was placed as a Visionary. Mertz, who is vice president of marketing and strategy at Act-On, leads our analyst relations team among other responsibilities. In our conversation, we review tips, tactics and strategies for analyst relations best practices. That includes sorting through the hierarchy of analyst reports, leveraging analyst reports across your marketing, and whether its just pay to play or be left in the cold. Nathan: We were recently named a visionary in Gartner’s 2018 Magic Quadrant for CRM Lead Management. Can you give us a quick summary of what that means when Gartner says it? And what that means for Act-On being named it? Adam: Sure. First of all, just to level set and to provide context on the report itself, Gartner has been running Magic Quadrants for many, many years now, in many different areas, and so they run one specific in the industry that we focus on, which they call CRM Lead Management. And so they have a few different areas that they try to put vendors in, and so, just to summarize that, they have a niche player area, challengers, visionaries, and leaders in the industry. In terms of what it means, Gartner is constantly talking with many of their analysts, which there are several analysts that are involved in this report, are constantly talking with companies, and individuals, and heads of marketing in different roles, about what they’re looking for, where they’re trying to drive their marketing efforts, and different tools that are going to help them execute against their strategies and their vision. They look at those conversations and then they talk to a lot of the vendors themselves and get perspectives around where these vendors are going, where they think the industry is going, the different product and capabilities that these vendors are coming to market with, like Act-On. And then once every year, they put out this very big Magic Quadrant report. So it takes many analysts many months to do this analysis. They not only use those conversations they had over the course of the past year, but they talk to reference customers that are provided, and they do a ton of deep-dives, where they will talk with us and the other vendors for several hours, to see our product, to understand our strategy and our vision, our go-to-market strategy, and then come up with this analysis. A company like Gartner is working with hundreds and thousands of mid-market and enterprise customers. And so there’s a variety of different needs they have, and so to be included in a report like this, I think it means a lot to us because it shows that we have proven to be a trusted vendor in this space for marketers, for many years now. Ultimately, we landed in a great place as a visionary. The visionary quadrant, as Gartner defines it, is where you’re thought of in the industry as a thought-leader, as an innovator, that maybe you haven’t achieved the very broadest level of market penetration and adoption, but you’re somebody who’s really … You have a strong vision, a strong road map; you’re really driving a lot of the innovation and the thinking as to where the market is going in this market space. We were one of only two companies that were placed in that visionary quadrant. That’s why it means a lot to us, both to be included but also to be seen as somebody who really, in Gartner’s opinion, which is essentially what this is saying, is that they like where we see the direction that marketing automation is headed, of moving to more of an adaptive marketing way, and the tools and technologies that need to support that, and that we’ve really focused our go-to-market efforts very much behind that idea, and that vision. It means a lot to us to be, now two years in a row, to be in that visionary quadrant. It’s something we can talk about. And I think the most part for us, it gives us a lot of credibility when we move into conversations with our prospective customers, and it makes them feel comfortable that there’s already been a company like Gartner who’s literally spent, if you think about the analysts and the resources they spend, hundreds, maybe thousands of hours doing this work to do this analysis, to come to this report. So they can feel more comfortable that OK, these people obviously meet some incredibly high standards, and those standards are really set by some of the people that are the world’s foremost experts, in this case, in marketing automation. Why are analyst reports important and is there a hierarchy? Nathan: Why are these analysts’ reports so important to a business, especially B2B businesses or a considered B2C? Why it’s so important? And then, it seems to me as a casual observer, that there’s a ton of these industry reports out there, and I’m just trying to get a sense of, is there a hierarchy? How do you pay attention? Adam: It can be a little bit dizzying. You have the Gartner’s of the world, which they rely on these experts that are the world’s foremost experts in this area. Now their opinions are formed based on all these conversations that they’re having with customers that are looking at this technology, with the requirements that they’re sharing with them, with vendors and other experts in this space. And that can feel … It’s like reality TV, right? That can feel very real and OK, that company had this experience. A bit of the challenge there, though, is that if you have a thousand reviews, just like when you go look at something on Amazon, some people like it and some people didn’t, they had a different idea or use-case. It really worked well for somebody, it really didn’t work well. It’s a bit chaotic because you have all these different people’s opinions, who also have varying levels of actual understanding. 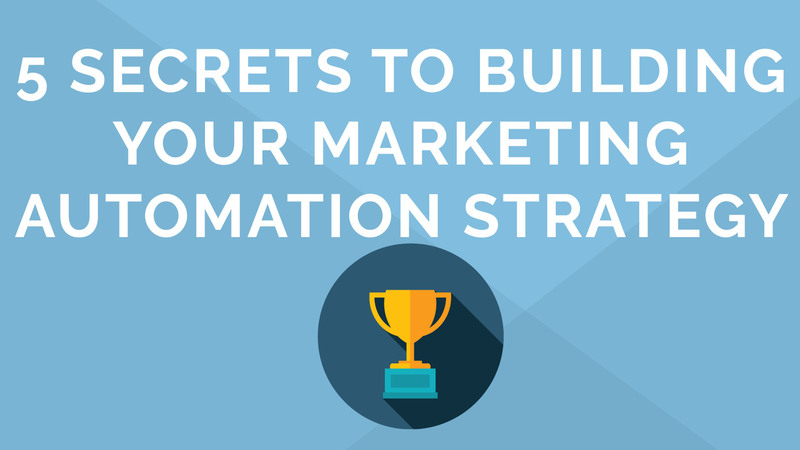 A lot of people, a lot of marketers, who dip their toe into marketing automation are in no way, shape, or form experts on marketing automation. And so, some people might have the right expectations, some people might have the right teams to execute their campaigns successfully and leverage the tools, and some might not. But you don’t know when you’re reading, and ultimately summarizing all of those different reviews, as to whether or not that’s something that, well, does that mean I should or should not contact that vendor or leverage them? So those are the two ends of the spectrum. We would consider a Gartner and others like Gartner, like in our space, Forrester and SiriusDecisions, we call internally our Tier One analysts. And so there’s a handful of them that have the level of expertise, and they put the due-diligence out there. And then you have in the middle there, in that spectrum, it could be very knowledgeable, independent consultants, very knowledgeable smaller boutique analyst firms, that don’t have hundreds of analysts across many different spaces, but they maybe have just a few people that have gotten together, that really know this particular space well, and so they provide some of their industry reports, as well. And so they might base them more heavily on some of the feedback from customers, and they definitely put their opinions in there, but it’s not so heavily based on just one or two analyst’s opinions. They might talk to many, many customers, and they might even put a survey out there, or something like that, that gets the opinions, and rolling that up. And then they still will then take the time to talk to us, and to say, “All right, show us your road map. Show us your strategy. Show us your product.” Deep dive into this use-case, deep dive into that use-case. And then they’ll form their opinion based on all of that. Whereas you can’t really do that with the G2 Crowds of the world. Those are good places, but again those are different. I don’t know if I’d call it a hierarchy or just the spectrum that you look at different analyst reports. What advice do you have for B2B companies talking to analysts? Nathan: You’ve alluded to how much time they put into each of these reports, it’s hundreds of hours or even thousands of hours. So what’s involved in the review process, and is there any advice you have to companies listening, to be ready for when they get that phone call to be participating? Adam: I think the biggest advice is to manage the analyst-relation side like you want to give the white glove customer support experience to your best customers. Meaning be extremely proactive, be talking regularly with the analysts, not just when the analysis is being done. But outside of that two or three month window when they’re doing this project, stay close to them. Make sure they know on a regular basis that you just came out with a particular new capability; and not just always briefing them and telling them what’s new, but also taking the time on a regular basis, to listen to their perspectives, and to take those perspectives and put those into your development process. Again, you’re talking to, a lot of times, people who you could consider the foremost experts in the world. If you listen to them, but then don’t really take any of their advice, and they don’t see that manifest in what you release, or the direction that you’re headed, then it can feel to them that you’re not really listening, you’re just trying to, in a way, just stay close to them, which is good, but only to stay close to them so, when the report comes, that they know who you are. The other thing is that, if you do that, you are also going to stay closer to the different criteria that they have in that report. You’re going to know beforehand, when they come out and they say, “Okay, in the next two weeks we want to meet with you and these are the key areas that we want to cover.” It won’t be a surprise to you that a particular area is a priority is to them. Why? Because you’ve taken the time to meet with them, and to understand earlier that this is an area where they feel maybe the market needs to head, or the direction that vendors need to go, and that they need to be doing. And in an ideal state, you’ve started working on something or actually, best case, developed and put something out there in the market that takes that feedback. What competitive intelligence can you get from analyst reports? Nathan: Is there any competitive intelligence you can get from this? Having these ongoing relationships, where they’re talking to your peer, your competitor X, Y, Z. I’m curious about that. Adam: Yeah, I think that they definitely have confidentiality agreements, where they’re not going to share too much about the company, but what they are going to share … So first of all, in the reports there’s a lot of information about all the companies that are covered. So that in and of itself, gives us a good idea of the other vendors in the space, and what those analysts think those vendors are … Where their strong points are, where there are areas where they need to continue to improve. But then also, if you stay close to those analysts and talk to them, what they will talk about a lot of times is, this is what company A and company B, meaning a prospective customer of ours, is asking them about. And this is maybe what they had heard, or these are the perceptions of us as a company, versus perceptions of others as a company. So yeah, by staying close to them, by participating in these reports, you get to have a much better understanding as to all the different vendors that they’re covering, and their opinions; but also by staying close to them on regular basis, you’re getting those market perceptions and putting it in context to the other vendors that are in your space. How can you use analyst relations across your marketing teams? Nathan: I’m wondering, you get this report and you mentioned it’s a strong component of our go-to-market strategy; how is it used across your marketing teams? What advice do you have to make sure that you’re really taking advantage of this? Adam: Yeah, there’s a lot that I think company’s should do, but I think a lot of companies don’t take full advantage of a report when you place well, like we did. And you really have to think about this, in my opinion, very holistically. And by that I mean, you want to almost think of this report, or a key analyst report, as a product launch. Everybody in the marketing team, everybody on the sales team, everybody needs to be fully understanding what the report says; there needs to be campaigns that are created that all roll under the umbrella of this report. Campaigns to customers, so customer marketing. Campaigns to prospective customers, and those campaigns need to be, I think, multi-faceted in an ideal state. You’re not just shouting out, “Hey, we did great on this report!” But you’re probably investing in licensing the report, which is not inexpensive to provide to customers, and to prospective customers. You’re sending them out as part of that campaign. You might have a webcast, with maybe one of the analysts that was involved in the report itself. You’re putting content out there, and offers, and landing pages together so if people are interested, that you are helping to drive some of your lead-gen goals that you’re trying to achieve. You’re making it, I think, one of the main campaigns I think literally for a quarter. It needs to be thought about that way, just like some major product launch for a particular quarter is. I think that if you go into it with that mindset, what we do internally here, is we have a big all-marketing meeting, just about every marketing person, where we will go through and explain the report, what it means, where we landed, and how we want to … Then get into the brass tacks of how we want to execute the campaigns. And then you’re coming up with the project plan for going about executing a campaign to support the report itself. Nathan: And it’s not just externally, you’re not just talking about sharing this on Twitter, you’re really talking also about how you educate and market to your internal teams, your sales team so that they know how to utilize this information as well, right? Adam: That’s exactly right, and I think that we internally, we will have meetings, we will have regular meetings with our sales team from the product’s perspective, to update them on what’s new, and so we treat this as, this is what’s new on the product side. And again, take the time for half, literally half an hour, to highlight different parts of the report, to highlight the analyst’s perspective. We will, a lot of times, even bring the analyst on so they can hear it firsthand from the analyst, their perspectives around us, their perspectives on the market, give the opportunity for the sales people to ask questions. So when the sales person provides that report as a follow-up to a meeting, and the prospective customer maybe has a question on it, that they can feel confident in talking through, at least to a certain extent, where we placed, why we placed, our comparison to other vendors in there, and so forth. What factors should be considered on whether to license an analyst report or not? Nathan: Yeah, it’s important. You mentioned earlier about the licensing, and I’m sure this question … People that are listening are going to say, is it all just pay-to-play? So what factors should be considered, whether you’re going to license or decide not to license that year? Adam: So in my opinion, I think for any company it’s important to have a very respected industry resource that is confident that you have a great product; that is confident that you have a great go-to-market strategy, because I think again, to go back to one of the comments I made earlier, that is just going to provide so much more confidence for your prospective customers, that there’s already been a ton of due-diligence that’s been done. So I think that, that’s something that’s really important to do. Similarly though, we were talking about the spectrum of these different reports. There’s no doubt, in order to do some of the things that I was mentioning earlier with these Tier One analysts, you do have to invest a lot of money. And what I mean by that is, when I was saying you should maintain regular conversations, and update them; in order to have that as an opportunity for your company, you have to have a relationship with them. And that relationship is not inexpensive, either. It’s not necessarily pay-to-play, but if you do have that paid relationship, you … Generally speaking, the way that they work, as soon as you have that relationship, you get an unlimited number of what they call briefings, or inquiries. And those are really the opportunities where you do get to stay close. So I think some might characterize it as pay-to-play, but it is really important to ultimately have those relationships. On the other hand, you have to invest time and energy on the other side of the spectrum to make sure that your customers are providing reviews, to make sure that, if you are working with an independent analyst, that you are doing the same thing. So I think that, either way you look at it, it’s really more of about investing in your analyst relations, and there’s just … There’s people’s time and investments, and then there’s actual dollars that you’re putting in. Nathan: I appreciate your time today, and I’m just wondering, to circle back to the Gartner report; if people want to learn more about how Act-On did, or just take a look, what should they do? Adam: Well you can go to our website at www.act-on.com, and we have a big button right on the homepage that links to the report. So check it out, we would love it.